With UFC 133 all set in a few days, who do you think will be the next Light Heavyweight contender? 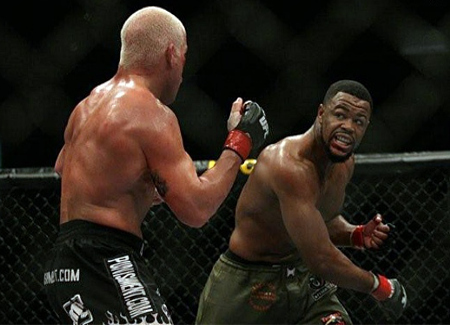 On August 6, Tito Ortiz and Rashad Evans will face each other at UFC 133. The said event is set to take place on Wells Fargo Center in Philadelphia. Their match will determine who’s going to be the next Light Heavyweight Title contender. But before you get giddy, here is Fighting Insider’s insight to the upcoming bout. The match between Tito Ortiz and Rashad Evans is a tough fight to call. And with the former’s victory over Ryan Bader at UFC 132, many will think that Tito Ortiz has reinvented itself. That said, Rashad Evans must not underestimate his opponent. While Tito Ortiz can pull of an upset via ground and pound, there is also a chance that Rashad Evans’s speed, footwork and smooth striking game will take his opponent’s takedown at bay. So who do you think will be the next Light Heavyweight contender? Let your insights be heard by leaving a comment.